to promote your brand on social media? I’m guessing over 25 hours? Call me dream catcher and I’ll answer. 52% of marketers spend over 25 hours managing their influencer marketing campaigns. 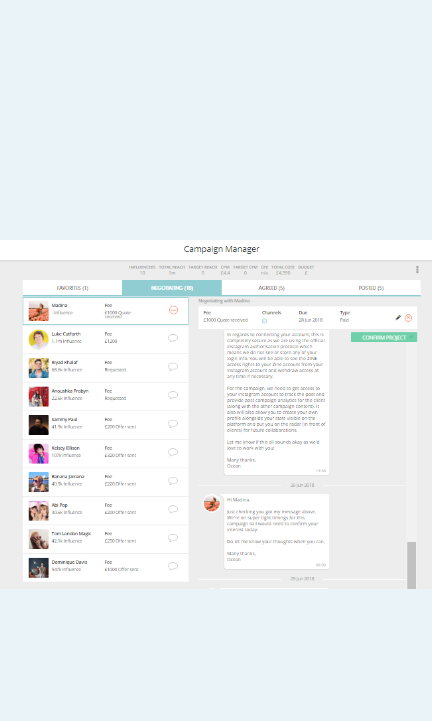 End to end campaign management with a single platform. Shortlists, negotiations, content approval, performance evaluation and payouts - all powered by ZINE. Send a proposal with full media kits of your shortlisted influencers to team members or clients for final approval. 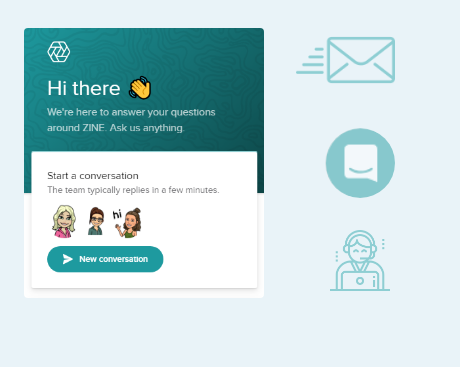 Build long lasting relationships with Influencers by talking with them through the ZINE chat, fully integrated with your email client for ease of access. 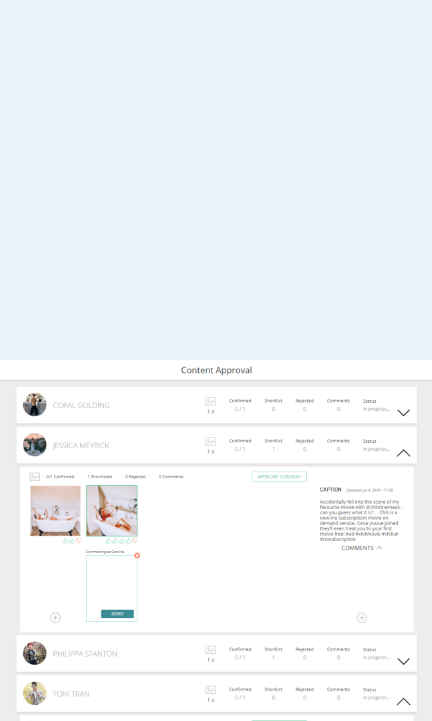 It's great to give influencers creative freedom but for peace of mind, content can be approved before posting - invite your clients or team to collaborate on feedback. 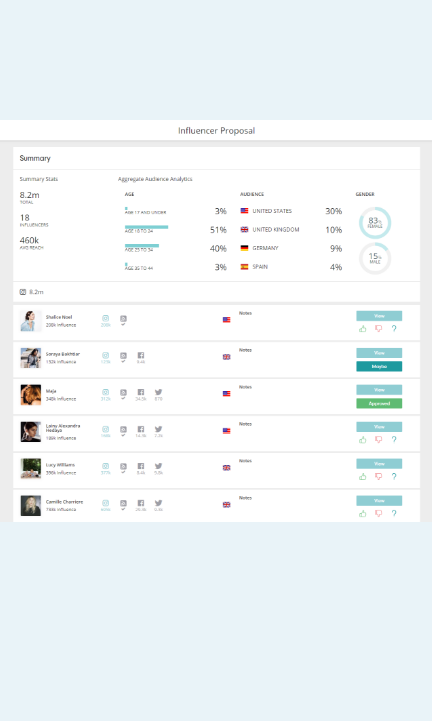 Get tangible result that show how your influencer campaigns are performing. 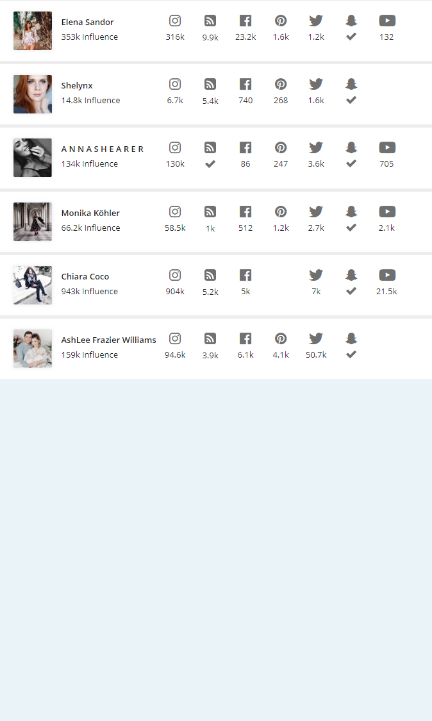 We're influencer marketing experts! Our in house training and support team is there to ensure your campaigns run smoothly and to answer any of your questions. Need help with your campaign brief? Not sure how to budget your campaign? We surveyed 1000 influencers & 200 brands to see what lies ahead for influencer marketing. 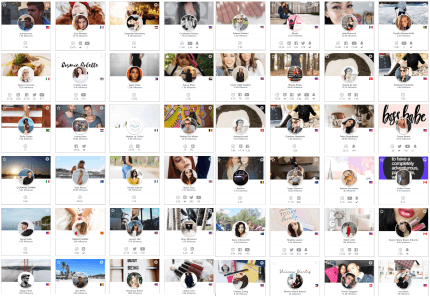 Learn how fine jewellery brand Les Georgette by Altesse used influencer marketing to launch their brand in new markets.